We recently had our "dress rehearsal" for trial team, which just means all of the 1Ls sat in on our practice. To make it a true dress rehearsal, though, my teammates and I suited up. As I got ready that morning, I took notice of a few changes I made to my daily routine. 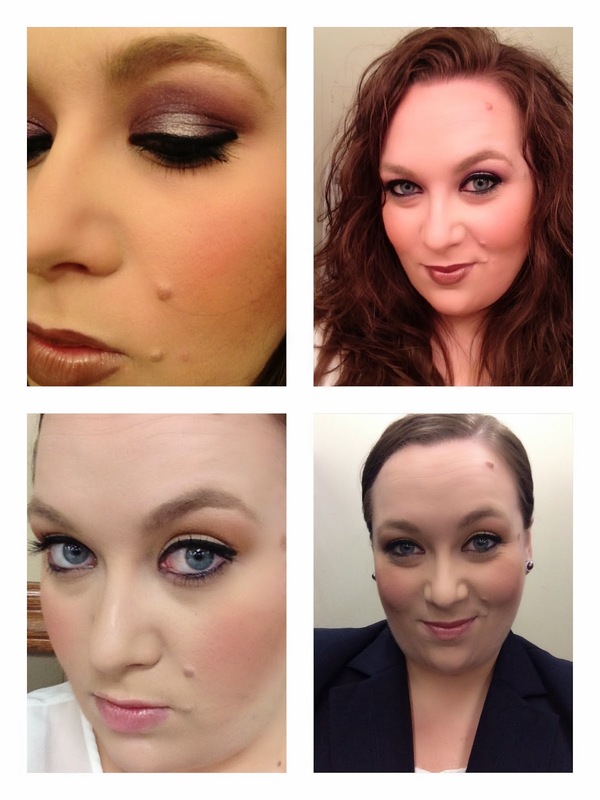 I thought I'd pass them along so you can see how I make the switch from casual to courtroom-ready using my makeup. C - cheeks. Go for more blush and less bronzer. More pink and less brown. L - lips. Opt for gloss over lipstick and highlight your natural lip rather than playing with colors. E - eyes. Stick with neutral colors and limit yourself to two or three shades. I like to match my lid to my brow bone with a soft champagne and use a nice praline for the crease. How do you alter your makeup to match your day's activities?